The 99 rose bouquet is a one that does not need any introduction. This bouquet is usually saved for the grandest of occasions. However, we have realised in recent years that the demand for this bouquet is rapidly growing. Most boyfriends want to provide their partner the opportunity of stealing the spotlight in their work environment or among their friends. Alternatively, many use the great novelty of the day of Valentine’s Day as an opportunity to perform a marriage proposal with the help of the 99 rose bouquet as a prop. 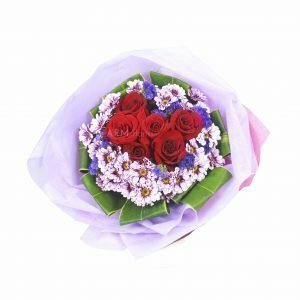 Regardless the reason of gifting flowers, the 99 rose bouquet will take her breath away in an instant.